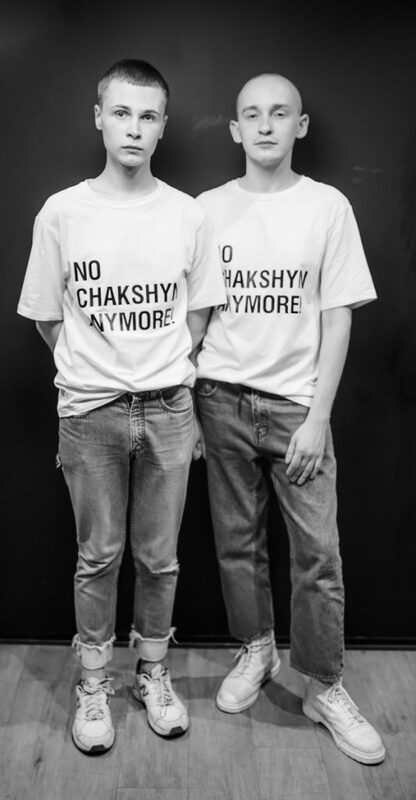 the kiev based duo behind chakshyn dima chayun and anton yakshyn wearing their own tees. they created the ‘no …. anymore’ t shirts as a statement against the constantly changing rules and expectations of fashionindustry. you can buy the tees in their online store.